The full polish of the Pembroke Cast Iron Fireplace gives it a modern feel & an elegant twist on a traditional Victorian-inspired fireplace. With thick, chunky legs, a pretty Celtic pattern and graphite finish mantel shelf, this grand fireplace is the ideal way to bring together modern and traditional furniture and will make a style statement in any room of the house. Just a massive thank you for you and your teams fantastic efficient service..... The fire arrived at 4.30 this afternoon and its beautiful, far better than we imagined!!!! You really have helped us out after being let down terribly from Fires Galore (who to be quite frankly were appalling to deal with)!!! 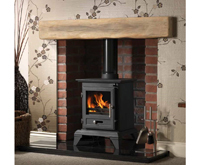 We have already recommended you to our friends and family and raved about your amazing customer service, and we will certainly be using you again for the log burner we will require in our dining room later next year. Thanks again and i hope your businesses success continues to grow. thanks for the efficient and well managed supply of the fire place I ordered. 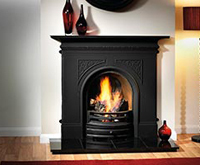 Service was friendly and informative, delivery was well managed and efficient and the fireplace is fantastic. Thanks and will use you again and have already recommended you to several other people. I thought the service i received was first class. I was phoned on several occasions letting me know when the delivery was going to be...eventually i picked the phone up and spoke to a lovely lady, not sure of her name, but she was lovely and we finalised the time. Sunday! what a great day for delivering stuff, especially in the morning, genius! The delivery arrived on time (maybe even a little early), in perfect condition, and i thought maybe this is when the living on the top floor would turn the delivery guy into excuses, bad backs, health and safety sort of nonsense - but no he basically tucked it under his arm and single handedly carried it up 3 flights of stairs. ONE OF THE FIRST TIMES I HAVE SHOPPED ON LINE TO A NON FAMILIAR SITE, AT FIRST I WAS APPREHENSIVE, BUT WITH NO NEED A SMART EFFICIENT SERVICE, WHICH I WOULD RECOMMEND. I must say thank you to you and your great staff for delivering the week before Christmas very early friday morning before i went to work for you to avoid all the bad snow and god did it snow. Im so glad to have got fireplace delivered and even installed before christmas. I ordered the fireplace on the internet and then received a call just to go over what I had ordered and checking what I required, this was a nice comforting feeling, delivery was arranged and I received a call an hour before delivery which worked out well, the fireplace along with the hearth was delivered on time with no issues. I would be more than happy to recommend to anyone. The fire arrived promptly and in perfect condition. Your delivery driver also carried it up several flights of steep steps in our garden without complaint and was very pleasant. I am delighted to recommend your firm for its efficiency and competitive prices. 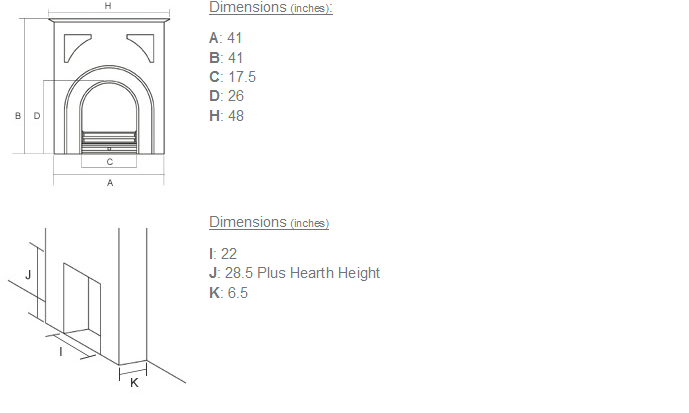 and the fireplace dead easy to fit. Great customer experience! Would easily recommend them. Haven't unwrapped it all yet as it hasn't been installed by the builder but it all looks fine and was delivered when you said it would be by a very friendly driver. Make sure you are fit enough to help the driver take it indoors though as these things are very heavy indeed! Good quality product and I'm delighted with it actually. Good all inclusive price too. Thank you so much received the fire place and its amazing , we are so pleased with it. Thank you also for the really swift and excellent delivery and customer service. It was I can honestly say the best service I have received in a long while and that is no mean feat as we are currently renovating our house and the amount of time I have wasted on waiting for deliveries and poor customer service. Your service was second to none, from the first contact with your company, to the delivery of my fireplace, the delivery of my fireplace was delivered in perfect time, I received a phone call 20 minutes before it was delivered which really helped me as I was at work at the time. Just to let you know that we are extremely impressed with the quick delivery of the fireplace which is now insitu and looks absolutely wonderful. My husband and nephew installed the fireplace without any problems. I have waited 25 years for a new fireplace and have made such a good decision. We would definitely recommend your company to family and friends. 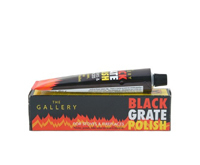 We were absolutely delighted with the Pembroke Full Polish, my partner was the one who really wanted the full polished version - I wasn't so sure at first but when it arrived I was so pleased we went for it. It looks fantastic and we have had lots of comments from our friends and family saying how lovely it is. The fireplace looks so much better in the flesh, you cannot appreciate it fully in photos. 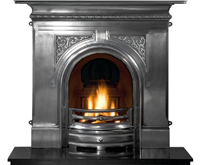 I also have to mention that the service we received from Cast Fire Places was A Class. Delivery was quick and within a 1 hour time frame which for full time workers is great. I spoke to Mark and he was very helpful and professional. We are currently doing a house renovation at the moment and are dealing with lots of different companies and I have to say Cast Fire Places were the best we have dealt with. Fast, competitive and professional. I had searched for this fireplace for quite a while to find the most competitive price and Cast Fire Places were the best by a mile. Great service and have already recommended to friends and family. 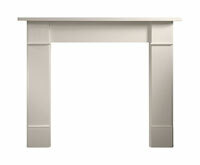 We are more than happy with our new Pembroke fireplace from yourselves. Your level of service is excellent and I would have no hesitation in recommending you to others. There is not a lot I can say. I was phoned in the morning when the fireplace was supposed to arrive to be told that, due to the snow, delivery could not be made. You promptly delivered it a few days later, but I was at work and my builders received it. Thank you so much for the fantastic fireplace and granite hearth. 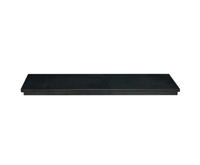 The fireplace is beautiful and your delivery and customer service was second to none. Fireplace now fitted and I am exceedingly pleased with the finished result. We are delighted with our cast fire and the service we got. We rang up and found them very helpful and knowledgeable,most company's don't have any knowledge of what they are selling. Very quick delivery and with a smile. 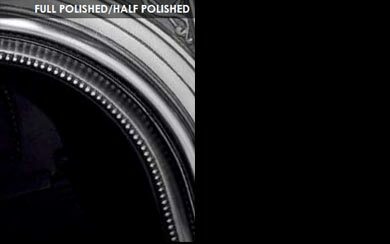 I was extremely pleased with your products and service…from start to finish. Ordering was very straight forward, I didnt have to chase a thing, you delivered on a weekend (im sure it was a sunday which made life even easier!) The driver called to notify me of times. All arrived in perfect condition and well packaged. I put it together and have to say the polishing of the surround is amazing. Brings the room to life and always get completing comments from visitors.